Offering Discounts Without the Fuss! These days, a pair of great-looking sunglasses that fits your face shape is a must-have fashion accessory. Whether you prefer classic styles to bold designs, oversized, or narrow frames, the right pair of sunglasses can immediately spice up your overall look. Since your sunglasses will surely catch people’s attention, it is important that you choose wisely. First, you should choose a style that flatters your face shape. A pair of sunglasses that fits your face perfectly can make you look younger and more stylish. An oval-shaped face would look great in an sunglasses that have wider frames while slightly curved frames are best for those with square-shaped faces. Oblong faces requires sunnies that are wide enough to cover a large portion of the face, effectively playing down the face length. Women with round faces, on the other hand, should choose narrow, straight, or angular frames to lengthen the face. If you have a broad forehead and a narrower than usual chin area, choose thin-rimmed sunglasses that sit quite low on your face. By all means avoid using an oversized pair because it will only make your already broad forehead appear wider than it actually is. In contrast, those with narrow foreheads and wide jawlines can benefit from wearing sunglasses in bold colors. The very popular cat-eye style is perfect for ladies with this face shape, too. 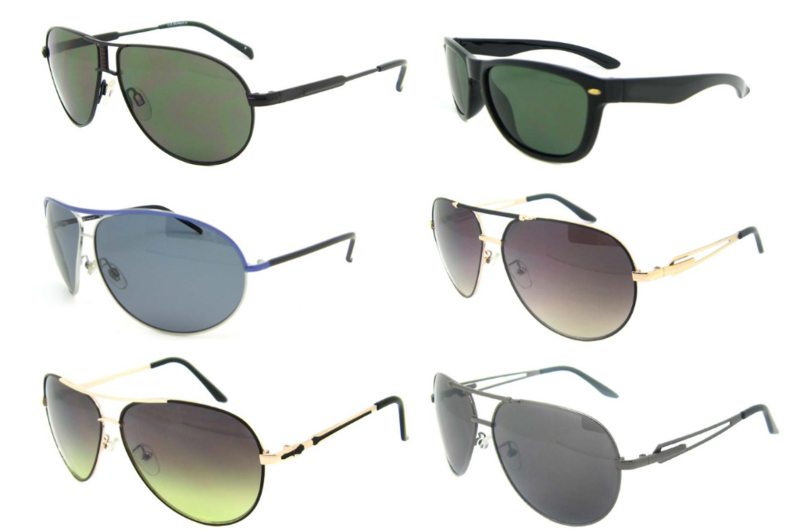 Aviator sunglasses are the most versatile sunglasses. It looks amazing in almost every face shape. Furthermore, you can wear it every day and goes really well with any type of outfit, whether you’re going for casual, smart casual, business, or a more sophisticated look. Popular since the 1930s, aviator sunglasses have reached an iconic status in the realm of fashion. When they used to come in dark lenses, you can now have them in different hues. The frame, too, come in different types – from gold to silver and tortoiseshell, and everything in between. Clearly, aviator sunglasses are here to stay. These sunglasses could easily be every female’s wardrobe staple, the trusty fashion accessory that people will surely love for years on end. So if you’re looking for a nice pair of sunglasses that you can wear every day, then by all means go for a well-made pair of aviator sunglasses. It is one of the wisest – not to mention the most stylish – fashion purchases you can make this year. Excellent service, I got everything on time. Easy ordering system and all in all I have nice eyeglasses of very good quality at a lower price. I enjoy them very much. Compared with my previous two experiences with online retailers, I′ve discovered that this shop could provide the most valuable and affordable glasses. I′m not just talking about the price of the frames, the lenses are exceptionally lower than competitors. It made me concerned about the authenticity and quality from the beginning. But when I received my glasses, I knew that my concern was without grounds. The glasses were exactly what was expected and the quality was genuine. It is worth the value to try something new everyday! These style of glasses make me feel young again. They fit comfortably around the bridge of your nose and provide great protection from bright light. I do not know how they could be retailed for such a low price, but I love it! These large, circle framed glasses are so cute! They make me feel like a fashion model every time I wear them. They fit really comfortable and are a great value for the money! I fell in love with this design when I first saw them. The delivery was great. Not only are they a great fit, but they match my motor jacket so when I am on my motorcycle outside, they keep out the sun and look great at the same time. I picked up this pair and another pair of sunglasses since the prices were so good. They were delivered on time and without any problems. Really surprised at how much easier it is to buy prescription sunglasses online. The service and pricing are incomparable! The tint of these sunglasses is great. These are quality prescription sunglasses at an unbelievable price. These are top quality frames at a lower market price. It cannot get any better than this. These sunglasses look very stylish, and I love the pink tint. These look great when I am dressed up for work. I love how they keep out the glare from computer screens and my tablet. Fashionable and functional! The only thing better than the sunglasses was the experience. I love how you can upload your photo and preview the sunglasses in real time. The sunglasses look terrific, and I love how I do Sunglasses utilizes modern technology. The delivery was quicker than ordering in a store.